How do I transfer my database in a new installation of TO3000? 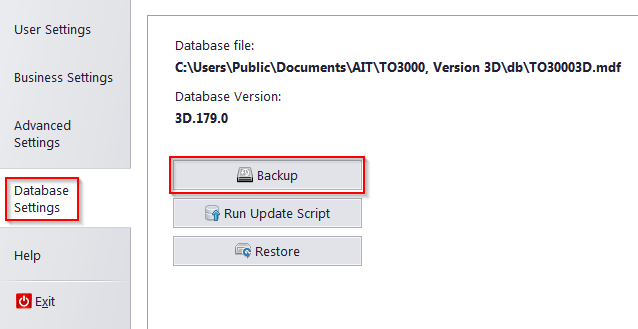 Use the Backup function in "Database settings" to create a backup file, transfer it to the new installation, then use the "restore" function on it. I've installed the demo version of TO 11 and wanted to open my backed up database, which was created with TO 9, but no matter what I try I get different kind of errors. Could you please instruct me how to do this correctly?